Ohav Shalom is fortunate to have a dedicated Board of Trustees who are deeply committed to its mission and purpose. Their leadership, combined with the efforts of all our volunteers and our membership involvement, makes Ohav the special place it is. 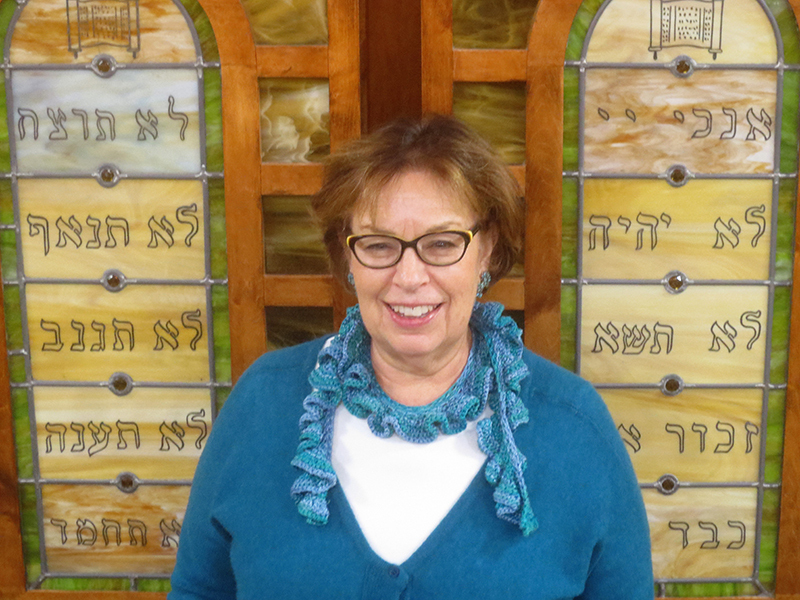 Judy is in her second term as President of the Board of Trustees at Ohav Shalom. She has served as a teacher in the Talmud Torah and on numerous other committees over the years she has been involved at Ohav. She has also volunteered in the Ohav Shalom Gift Shop, been an active participant on the Yad Yonatan and Inclusion committees. An attorney by training, she has served as Director of the NYS Division for Women, Executive Director of the Brain Injury Association of NYS, and Jewish Family Services of Northeastern New York. Judy and her husband Steve are Disney fans, and together with their daughters Amanda and Sara, have run in Disney races on both coasts. Ed is a retired OB-GYN physician. 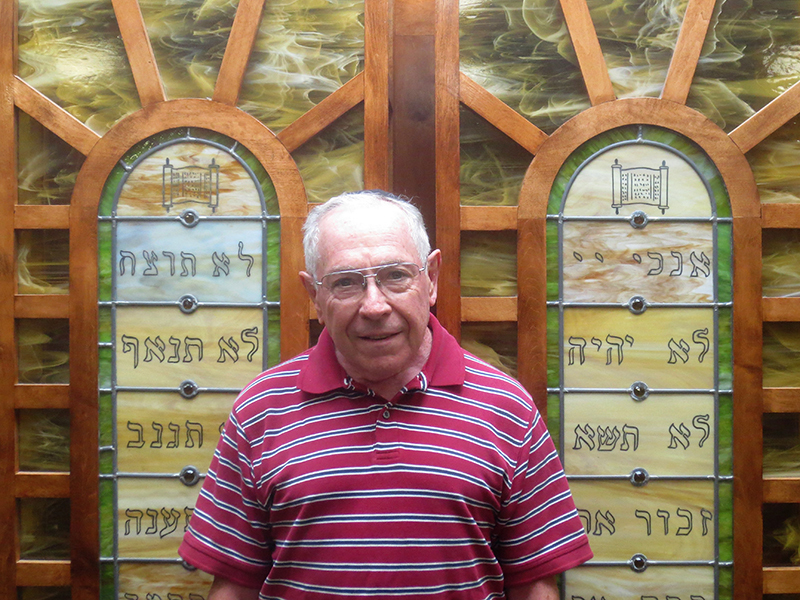 He and his wife Laura have been members of Ohav Shalom for more than 40 years. Both of their daughters, Lisa and Tami, celebrated their b’nai mitzvah at Ohav. 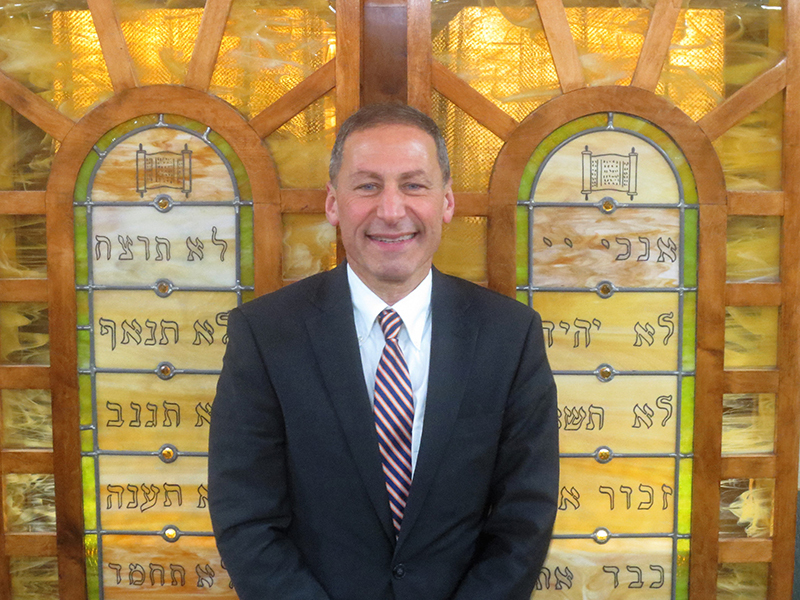 Ed is committed to optimizing the safety and security of our synagogue and has overseen many enhancements during 2017-18. He has also spearheaded the Life & Legacy planned giving program. He’s extremely grateful to its founding members who are helping to ensure Ohav’s future is sound. Ed also serves on the Federation Board of Governors and the boards of The Daughters of Sarah Nursing Home and the Maimonides Hebrew Day School. Andy is Chairperson of the Human Resources Committee and has been responsible for the interview and hiring process for Ohav Shalom’s staff leadership. Andy currently works as a Transportation Analyst for the New York State Thruway Authority. Prior to that, he was a Process Analyst for State Farm Insurance and Director of Families Together in Albany County. Andy has a Ph.D. in Chemical Engineering from Stanford University, and was awarded 6 U.S. patents during his 15 years in materials R&D for GE Global Research. Andy is proud to serve on the Executive Committee of the Board of Trustees. He and his wife Cheryl and their 2 daughters reside in Slingerlands. 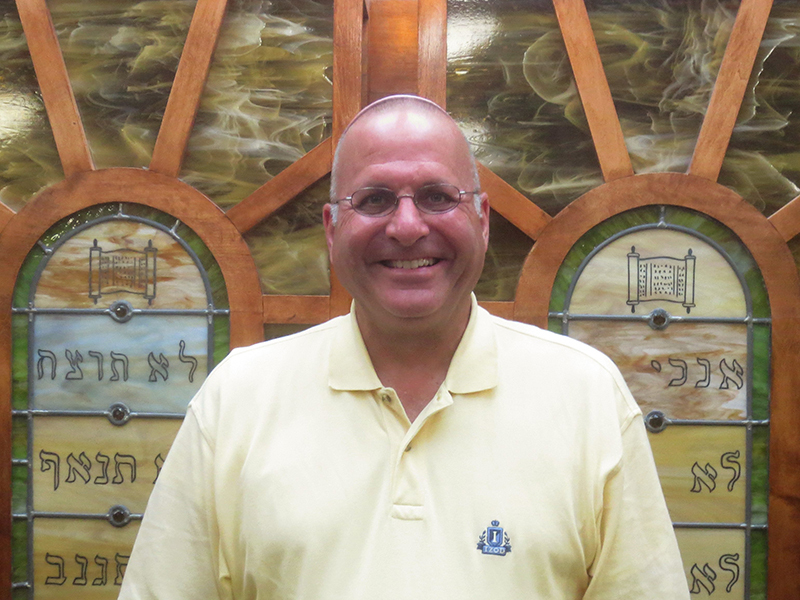 Gregg has been a member of Ohav Shalom his entire life. He and his wife Jennifer both grew up at Ohav. A High School Special Education Teacher for the Averill Park School District, Gregg is a tireless advocate for children, and people who are in need. He has chaired numerous committees and programs at Ohav Shalom, including his latest pet project, the synagogue’s new playground initiative. With funding secured in the Fall of 2018, it is expected that the playground will be up and running in 2019. Gregg is also credited with the transition from our former financial software program to the new system which is now in place, and for mentoring staff on a regular basis. Over the years Shari has served on many Ohav committees. 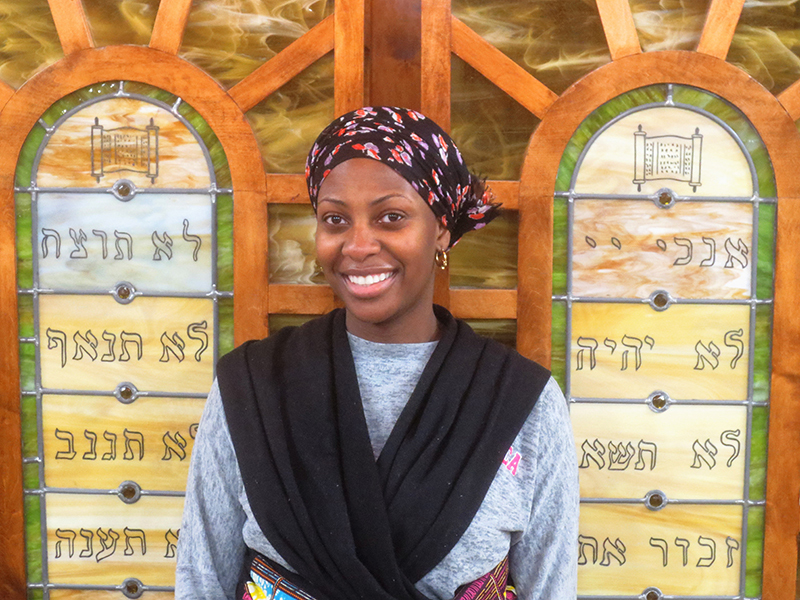 She has been Chair of the Youth Commission and has spent countless hours working with youth, human resources, fundraising, programs and other activities at the synagogue. While Ohav is very important to Shari, she is perhaps best known for founding the Annual Lustgarten Foundation Albany Capital District Walk for Pancreatic Cancer Research in 2004 with her husband Neil. Shari is credited with helping the Walk to evolve into a kid and pet-friendly social event with music from local bands, food, kids’ activities like face painting and games. It is now seen as a celebration of life where everyone can feel comfortable. During a Kol Nidre service in the mid-90’s, Rabbi Dan spoke about the need to open the Conservative movement to lesbian and gay Jews. It was a moment Libby never thought would happen. It was also the moment when she made a commitment to embrace Ohav as her synagogue. Libby served on the Board of Trustees in the mid-90s and joined the board for a second time, serving as president for two terms from 2012-2016. Among her achievements as president, she streamlined procedures and processes, improved working relationships between synagogue leadership and staff; helped to stabilize synagogue finances; increased fundraising efforts; and revamped the Cemetery policies to make them more equitable. After completing her tenure as president, Libby served as president of the B’Yachad Board for a year to bring stability and focus to the school. She remains active and involved in synagogue affairs. Laurie is a retired school counselor who has dedicated herself to the welfare of kids throughout her career. She is the former director of Ohav’s Talmud Torah program, and has been an active member of Ohav Shalom since 1980. 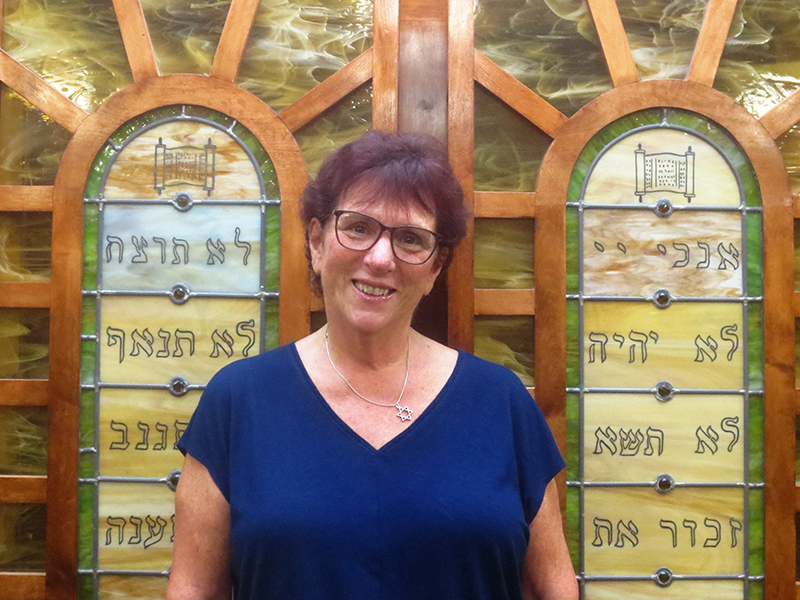 Laurie is Coordinator of the Shabbat Parnasim, Chairperson of the High Holy Day Committee which coordinates all the aliyahs and honors for Rosh HaShanah and Yom Kippur, and also assigns our Shabbat haftorot. As the Coordinator of our Kiddusha Mommas and Pappas, she can often be found in Ohav’s kitchen making delicious goodies that are then served at our weekly Kiddush. 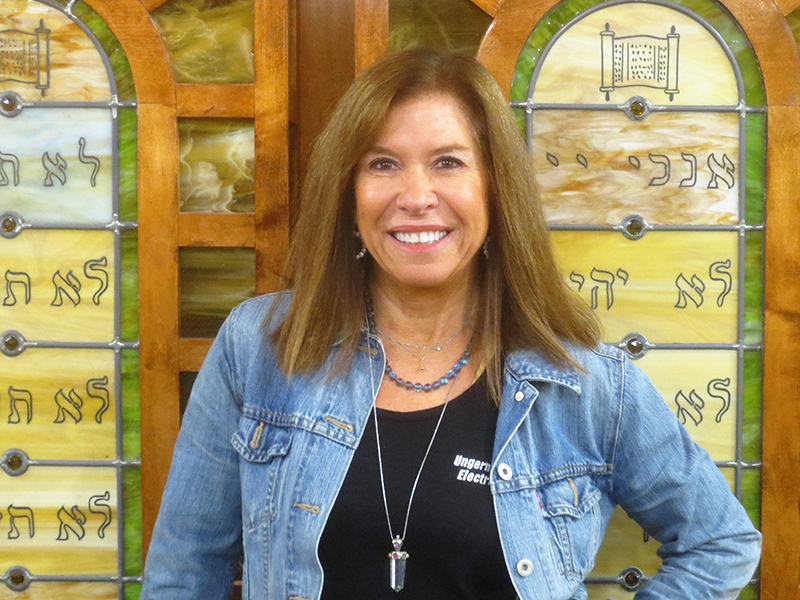 Wendy has been a member of Ohav Shalom since childhood. Her parents were very active members – – and her father served as its attorney and her mother served as Sisterhood president for many years. She was married in the synagogue in 1970 and joined the shul as a married couple in 1979. Her children attended synagogue weekly and the family enjoyed a wonderful close-knit group of friends. She joined the board in the 1980s, and then left the board to become executive director in the mid 90’s. She returned to the board after resigning as executive direction in the early 2000’s and has served ever since. She is an active member. She has co-chaired the Festival of Jewish culture; organized the annual Thatcher Park Dinner; become a bat mitzvah as an adult; cooked Shabbat dinners with friends; produced the Yizkor Book for a period of time; co-chaired several galas; baked with the Kiddusha Mamas and Papas; designed and led the Step by Step program; co-chaired the Sisterhood. She currently serves on the Religious Life Committee and is a member of the Chevre Kadisha, performing tahara. Janis Cohen is Consultation Clerk for the Appellate Division, Third Judicial Department of the, Supreme Court of the State of New York. She has worked at the Court since she graduated from the University of Buffalo Law School in 1982. A native of the Capital Region, hailing from Troy, Janis attended Emma Willard High School. 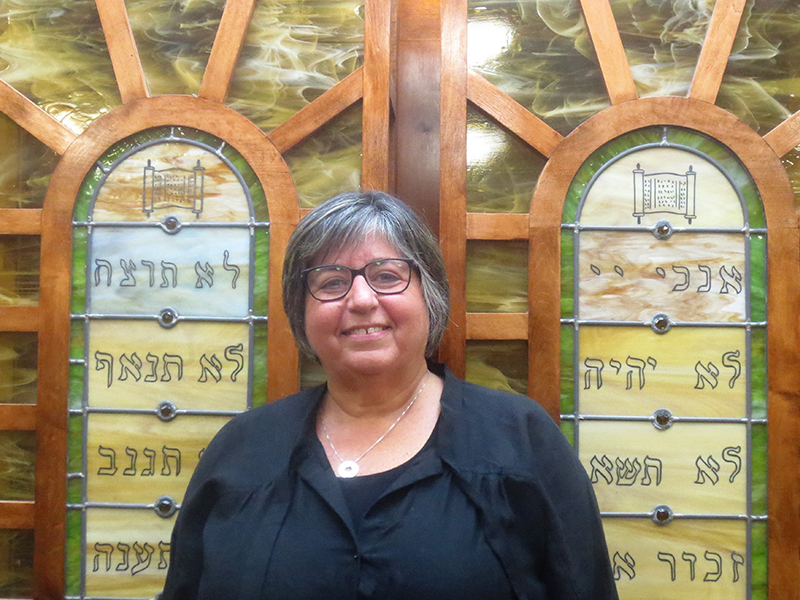 She has been member of Ohav Shalom since 1989, and has worked on several synagogue Ad Hoc committees over the years. She is in her first term as a Member of the Board of Trustees. Larry is the retired former Chief Medical Officer of the Department of Veterans Affairs in Albany, NY. The son of Viennese refugees who came to the United States to escape Hitler, he was born in New York City and came to Albany to do his Residency at Albany Medical Center. Larry joined the Board of Trustees in 2017 and is involved in the Safety and Security Committee. 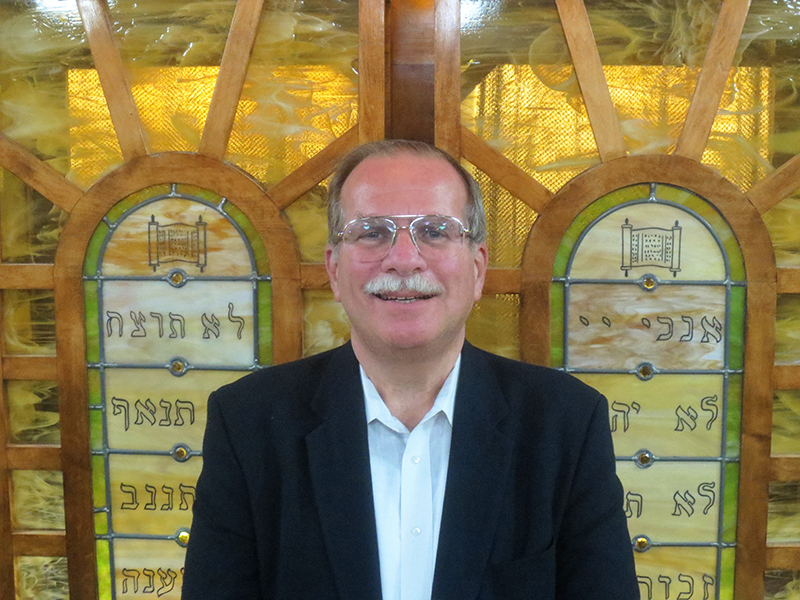 He’s been a member of Ohav Shalom since 1975, and both his children have been b’nai mitzvah at our shul. He loves being a grandfather, and lives life to the fullest. Jane Berger Ginsburg is the Executive Director of the Alzheimer’s Association, New York State Coalition, serving as the primary steward of Coalition’s mission and vision, and directs all Coalition activities and contracts. She was previously the Coalition’s Director of Statewide Initiatives. Jane is an attorney by training and has been a non-profit organization specialist for more than 15 years. She received her J.D. from Temple University’s Beasley School of Law in Philadelphia and her undergraduate degree from the University of Pittsburgh. 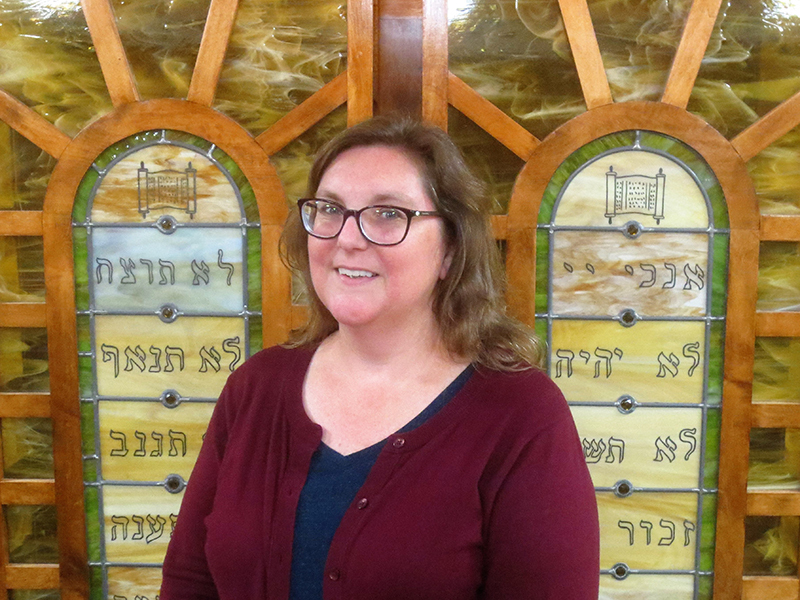 Jane is an active volunteer with Jewish Federation of NENY, the Albany Jewish Community Center, Congregation Ohav Shalom, and the Food Pantries of the Capital Region. She lives in Menands, NY, with her husband and two children. Bradley Gorstein is a Pathologist at Ellis Hospital located in Schenectady. Prior to coming to the Capital Region, Brad worked at the Department of Pathology in Beth Israel Deaconess Medical Center in Boston, Massachusetts. He received his medical degree from McGill University Faculty of Medicine and has been practicing medicine for more than 25 years. 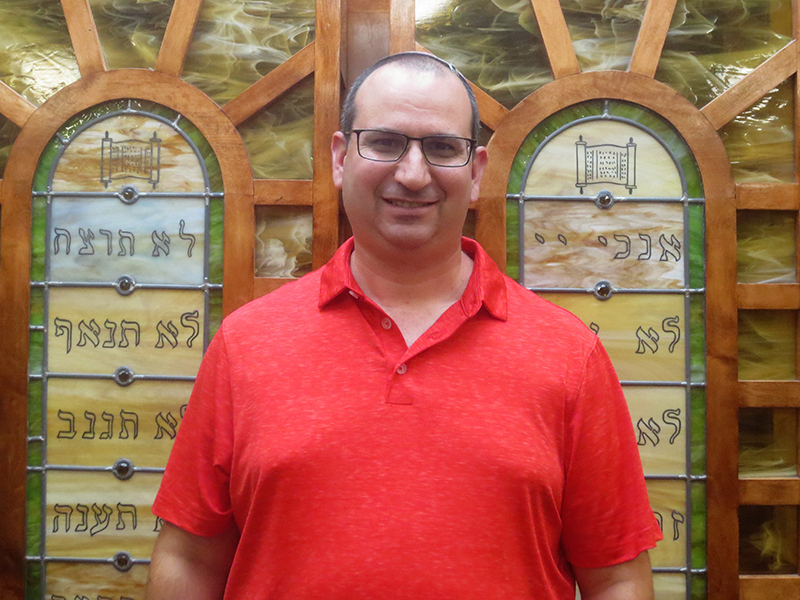 Brad has been a member of Ohav Shalom since 2006, participated in Ohav Shalom’s Project Lech Lecha long-range planning committee, and joined the Board of Trustees in 2018. He enjoys attending live music events in the Albany area. 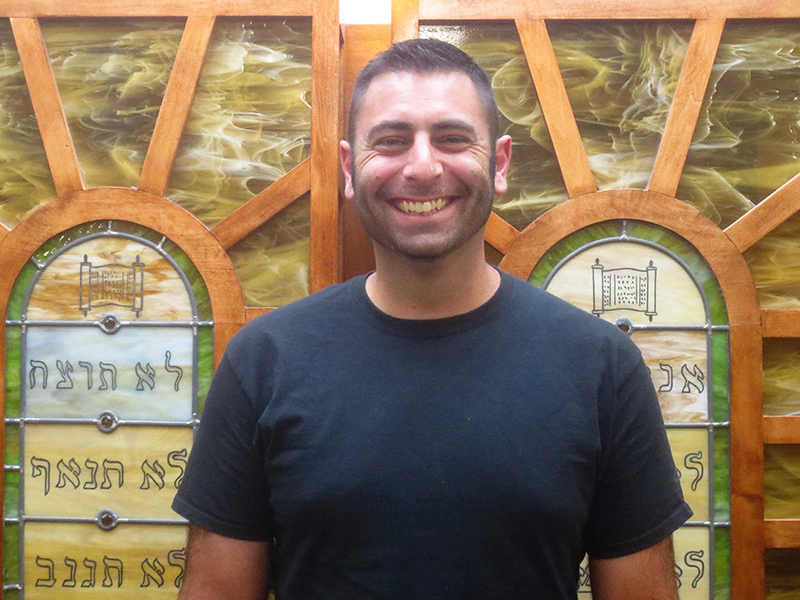 Aaron Israel is an active participant in Ohav’s daily minyan. He was raised in the heart of the vibrant Sephardic community of Mexico City. Growing up, he maintained a close relationship with his grandparents who had emigrated there from Turkey in the early 1900s, learning and appreciating the rich traditions of Sephardic Judaism. He is fluent in several languages, including Hebrew and Ladino. Aaron and his spouse Matthew have been married since 1994 and moved to Albany in 2012. Aaron works helping disadvantaged families and individuals secure health benefits through NYS and federal agencies, though his first love is travel. He runs his own company, AWT Worldwide Vacations and has more than 30 years of experience in the travel industry. Immediately after joining Ohav Shalom, he and Matthew worked with both Rabbis to create the Center Square Minyan, bringing Ohav’s presence into the downtown Albany area. He’s delighted to be part of the Ohav family. Now retired, Jean Kaback was able to combine her knowledge and love of landscape architecture with her sense of style and artistic panache when she worked as owner and Fashion Consultant for Accents on Fashion. Jean has held other jobs during her career: conference and event planner, kindergarten teacher, director of volunteers at a nursing home and garden designer. She developed her own interests and at the same time focused on her family. She the mother of three, grandmother of six and wife of more than 50 years. She has found her niche with her in-home boutique offering one-of-a-kind, unusual gifts, jewelry, accessories and clothing ranging from casual to dressy. Arriving in the Capital Region in 1984 from Montreal, Quebec, she and her husband Dr. Martin Kaback love to travel and revel in being grandparents. 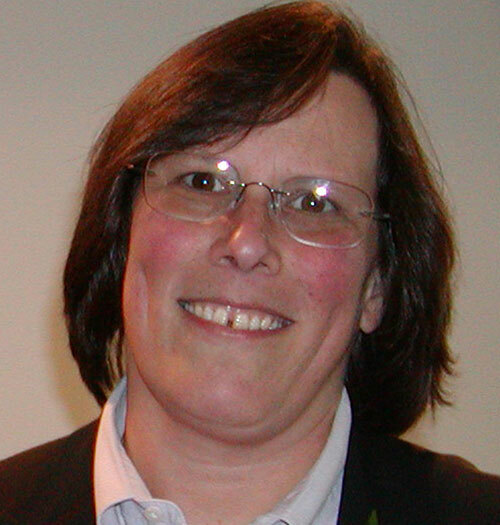 Jean has been an Ohav member since 1984 and has been a member of the Board of Trustees since 2013. 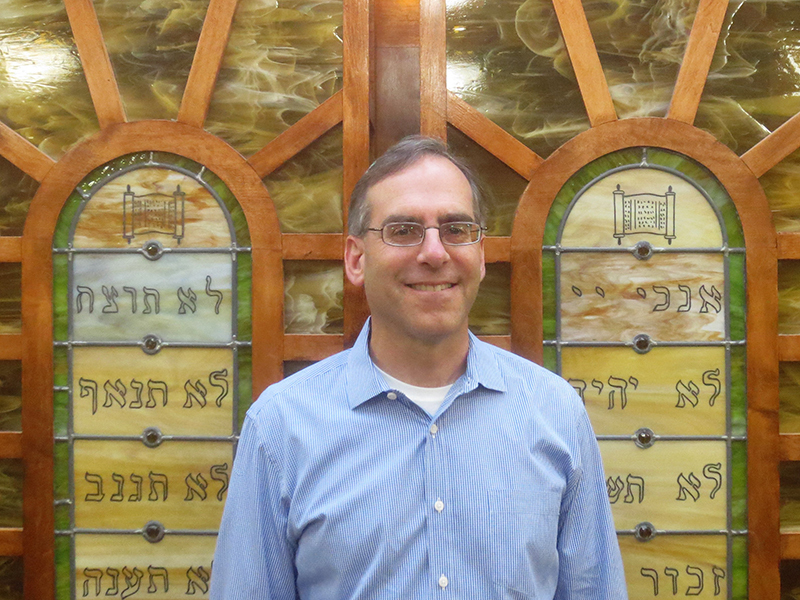 Jeremy Kassel and his wife Ruth have been members of Ohav Shalom since 2011, and truly love everything about the shul. Jeremy joined the Board of Trustees in 2017. Jeremy moved to Albany from his hometown in Syracuse, NY in December of 2010. He is the founder of his company, Kassel Construction, and is a master at all things Instagram, and is co-host of the @housecallspodcast. Jeremy’s and Ruth’s children Elisheva and Esther both love the Early Childhood program, and the whole family regularly attends services and events at Ohav Shalom. David Levine is Chairperson of the Religious Life Committee. He is credited with leading the search for our beloved High Holy Days Cantor. 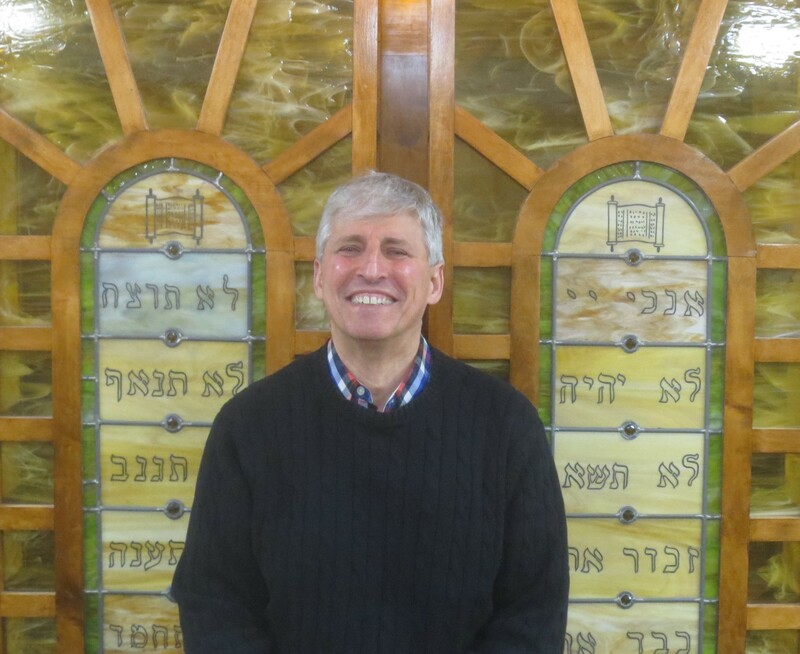 David, who is a general dentist with nearly 40 years of experience, has been a member of Ohav Shalom since 1978 and has served on the Board of Trustees almost consecutively since 1979. He is on the Yahrzeit Board Committee and is past Chairperson of the College Outreach Committee. David is also a member and past President of the Va’ad HaKashruth of the Capital District. He’s is a family man and loves spending time with his children and grandchildren. 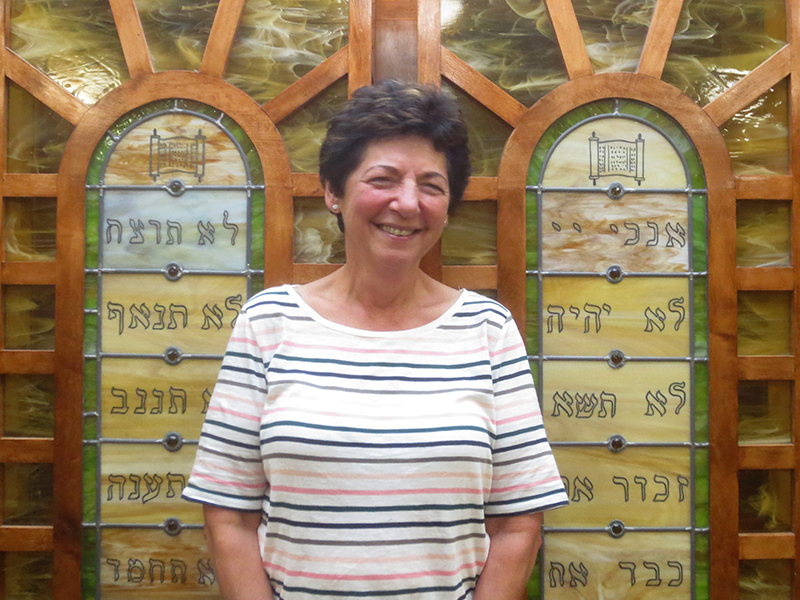 Sharon Lozman is the Chairperson of Ohav Shalom’s House and Grounds Committee, and lovingly cares for the building and grounds of the shul like it was her own home. She has a background in both academia and real estate. She taught elementary school for several years, and is the former the Principal of the Lower School of the Albany Academy for Girls. Sharon also owned and managed an apartment complex and office building for 25 years. She grew up in a family that developed and constructed real estate, and consequently learned a great deal about construction. Hence her expertise in house and grounds. Sharon has been a member of the Board of Trustees since 2001. Debbie Rausch is a freelance public relations professional with significant experience in both the private and public sectors. She has served as communications director for several NYS agencies, the City of Albany, and several nonprofit organizations. She has also been the executive director of several nonprofit organizations. Debbie serves in leadership positions on several nonprofit boards. She is vice president and past president of the Women’s Press Club of NYS, and is a life member of Hadassah and former Chapter President and Region Vice President. She is the daughter of a survivor of the Holocaust who was from Augsburg, Germany, and is an Advising Member of the Descendants of the Jewish Community of Augsburg Association and Editor of its newsletter. 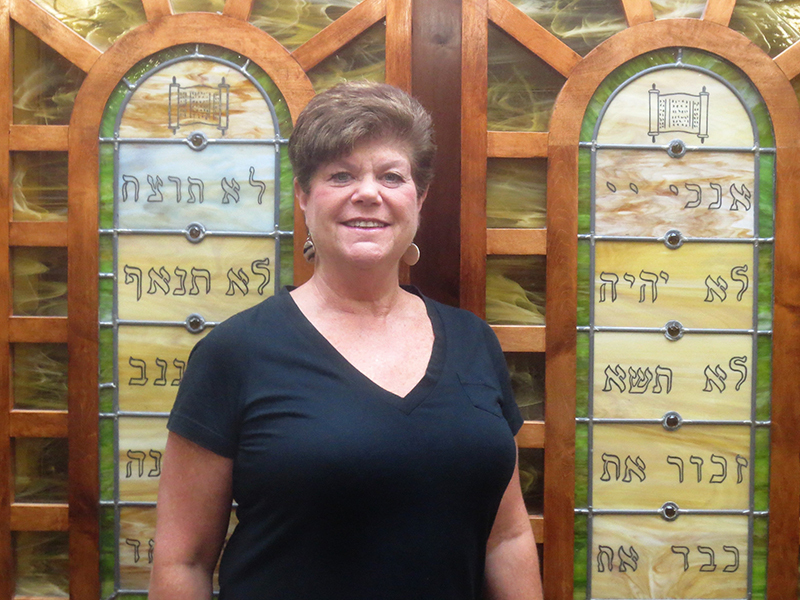 Debbie and her husband Lee have been members of Ohav Shalom for more than 35 years. She served on the Board of Trustees in the mid-80s and re-upped in 2012. Both her daughters were b’nai mitzvah at Ohav. Debbie loves spending time with family and friends, playing games especially bridge, singing with her kids, traveling and having fun. Heather is an independent public relations and communications professional and a freelance writer based in the Capital Region. She served as the Communications Director for the 2018 New York State Senate Campaign of Michelle Ostrelich. 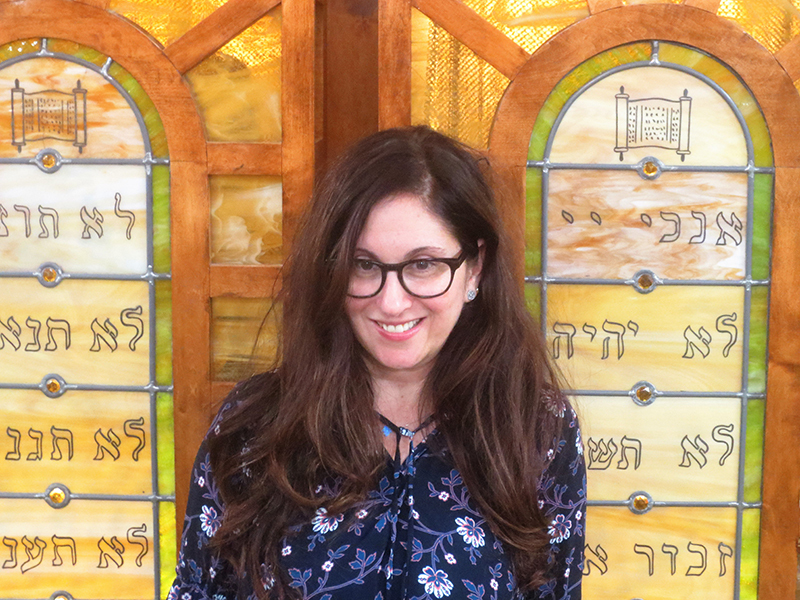 Heather joined the Board of Trustees of Ohav Shalom in 2018 and is a member of the Communications Committee. She and her husband have 2 daughters and reside in Rexford. Kathryn Sheingold and her family have lived in Delmar and been members of Ohav for 20 years. Kathryn has served as the Assistant Solicitor General in Charge of Opinions for the State Attorney General for 15 years. In this capacity, she renders opinions to state agencies and local governments on questions of state law for the Attorney General. Before that, she was an attorney in a local private law firm and a legal librarian at Columbia Law School. She received her J.D. from Yale Law School, her Master of Science in Library and Information Science and her BA in Political Science and Government from Union College. 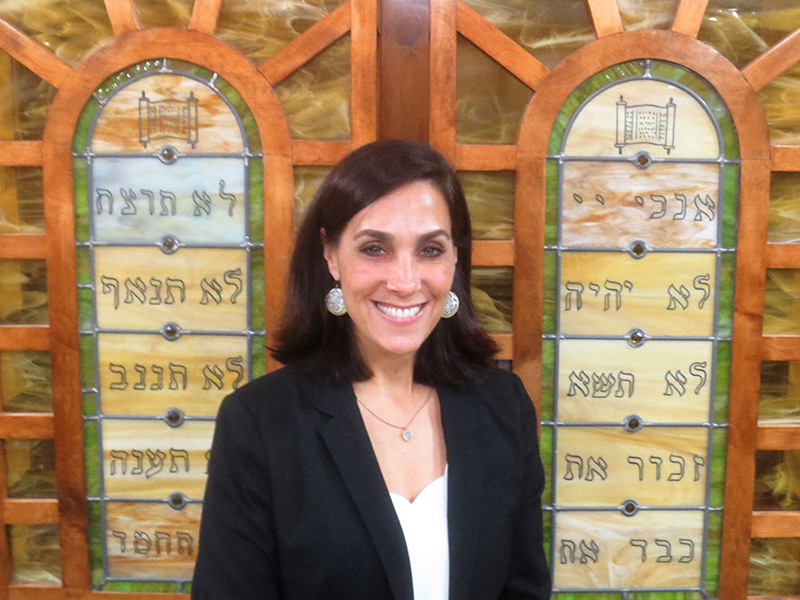 Kathryn served on the Board of Education of Ohav’s Talmud Torah, and her three children graduated from B’Yachad. She grew up in Ann Arbor, Michigan, and moved east for her education. She is an avid reader, cook and gardener. Susan Ungerman is Owner and President of Ungerman Electric, which has been providing residential and commercial services to the Capital Region for more than 50 years. Ungerman Electric is a Certified Woman Owned Business (WBE) that was started by her father, Herm Ungerman. Ungerman Electric is actively involved in the Capital Region community, providing philanthropic support for and participation in several organizations in addition to Ohav Shalom. She recently led the company to receive the Torch Award for Ethics from the Better Business Bureau, which is the highest recognition given to area businesses by BBB. 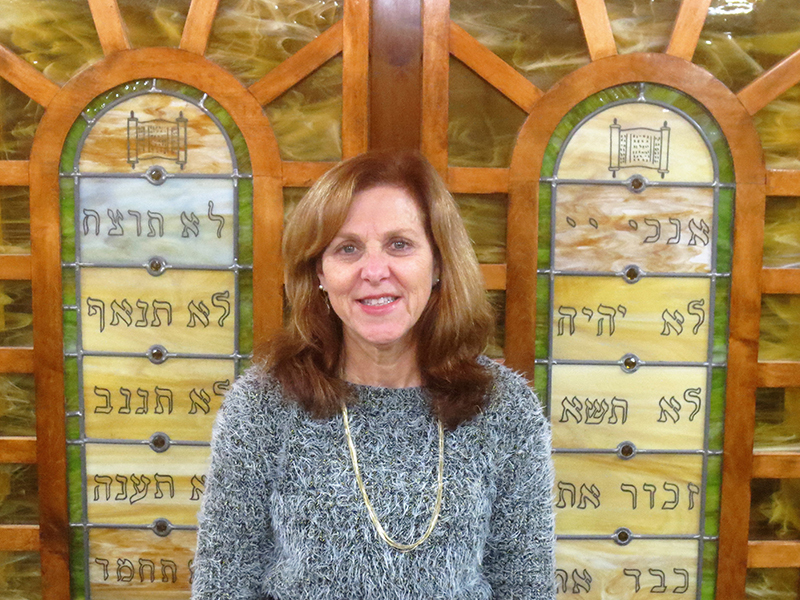 Susan grew up in Ohav Shalom and is an active member of the Board of Trustees. Jay Worona is Deputy Executive Director and General Counsel for the New York State School Boards Association. Jay served as Chairman of the Board of Directors of the National Council of School Attorneys (COSA) in 2007. He has been honored by his peers who have appointed him as a Fellow of the New York State Bar Association. He also serves as an adjunct professor at the School of Educational Administration and Policy Studies at the State University of New York at Albany. 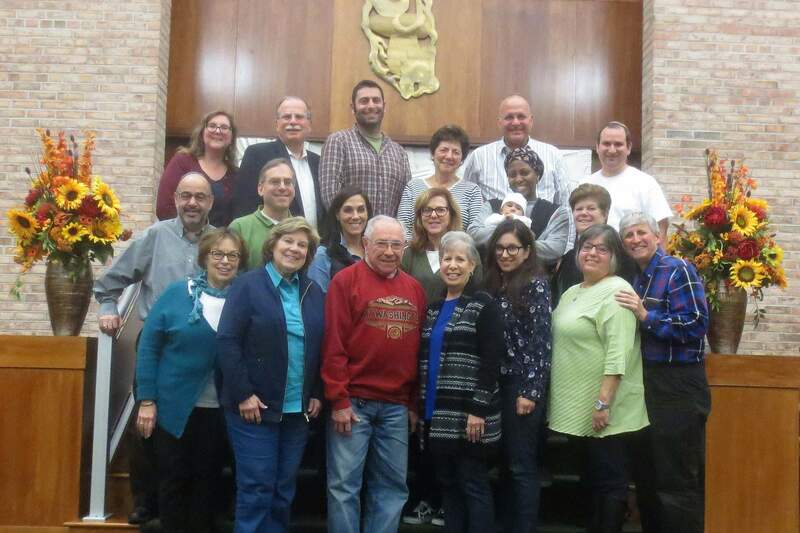 Jay has updated the Bylaws of Ohav Shalom and has served on various committees. He grew up in Poughkeepsie. He and his wife Sandi are long-standing members of Ohav Shalom, and his children were b’nai mitzvah at our shul. Jay is a proud father and grandfather. 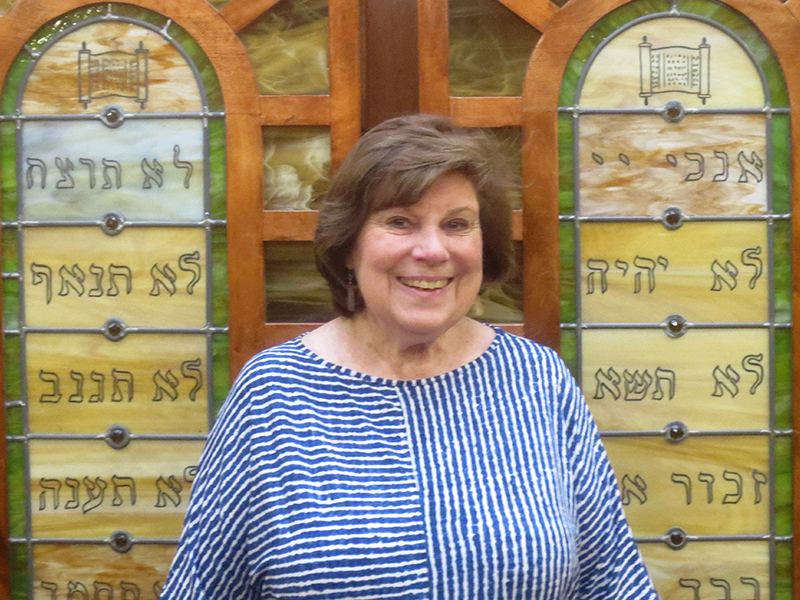 Margery Diamond Zucker has attended services regularly since her college days and has been a member of Ohav Shalom for nearly 40 years. Her sons celebrated bar-mitzvah at our shul, and one was married on our bimah. 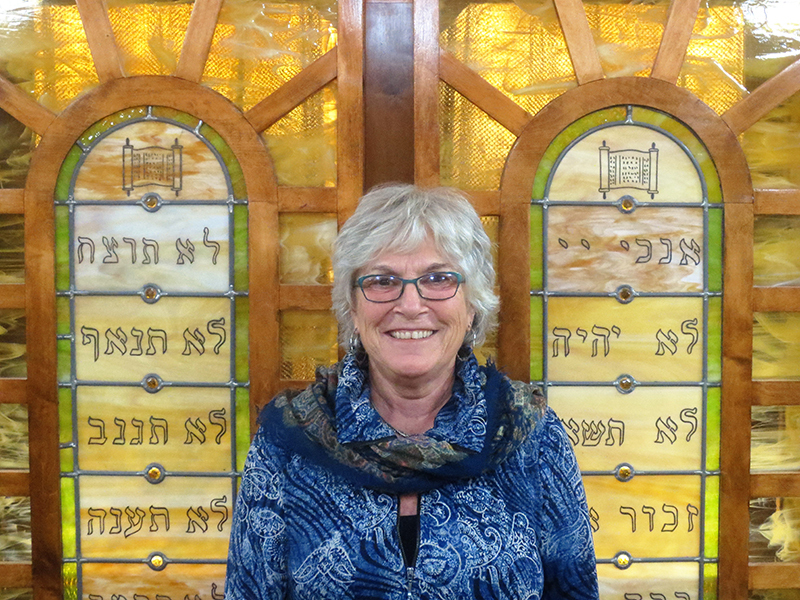 Following retirement from her career in educational administration, she has been able to participate on the Ohav Shalom Board of Trustees where she has served as co-chair and has been involved with various committees including the Torah Writing Campaign Committee and the Coffee Connections Committee. She has participated on Board of Trustees since 2011. 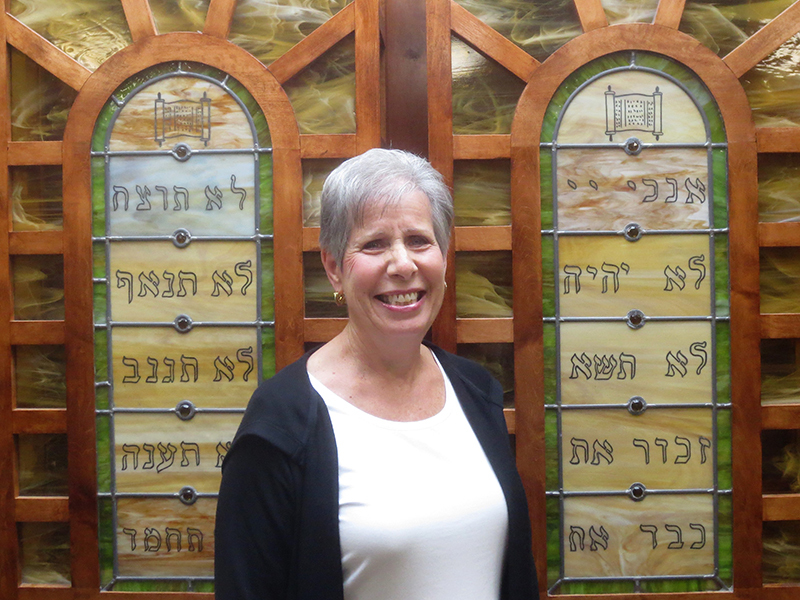 For more than 25 years, she has regularly read Torah, Haftarah, and Megillot.